The Hong Kong Securities and Futures Commission (SFC) will no longer let its citizens invest in STOs–unless they have at least $1 million. In what they call a move to protect investors, Hong Kong’s financial watchdog clarified its position on STOs yesterday. The Hong Kong Securities and Futures Commission (SFC) reminded investors that digital assets are still highly risky. This means they should be in the realm of ‘professional investors’ only. To be clear, it doesn’t matter if savvy investors have made the right call on the market or sharpened their trading skills. If they don’t have a portfolio of at least $1 million (HK $8 million), STOs are off the table for them. The announcement comes after the SFC launched its regulatory sandbox for cryptocurrency companies in November 2018. In a statement on Thursday, the SFC said that security tokens fall into the same category as securities, which meant that they were subject to the same existing laws. The latest crackdown on STOs, which have become a compliant replacement to ICOs in just about every corner of the world, is not limited to companies based in the region. According to the SFC statement, anyone marketing or distributing security tokens targeting Hong Kong investors must obtain a local license. Moreover, digital asset providers must comply with three key requirements laid out by the SFC. They must restrict their offerings to professional investors only. They must provide clear and comprehensive investment advice and guidelines, and must encourage investors to carry out their own due diligence. It is a criminal offence for any person to engage in regulated activities without a licence unless an exemption applies. ICOs are all but dead. This time last year, ICOs raised $1.74 billion. This year the figure is bearly making the chart at just $46 million. STOs have emerged as a more secure and regulated way to invest in cryptocurrency companies. Unlike ICOs, they bear most of the hallmarks of IPOs, depending on the jurisdiction. However, even in the United States, with its 70-year-old rules, not all STOs are reserved for the super wealthy. Hong Kong may not be outright banning STOs like mainland China. But they’re moving a step further to strangling innovation here–and leaving retail investors at the gates. Should and will STOs be reserved for wealthy investors? Share your thoughts below! 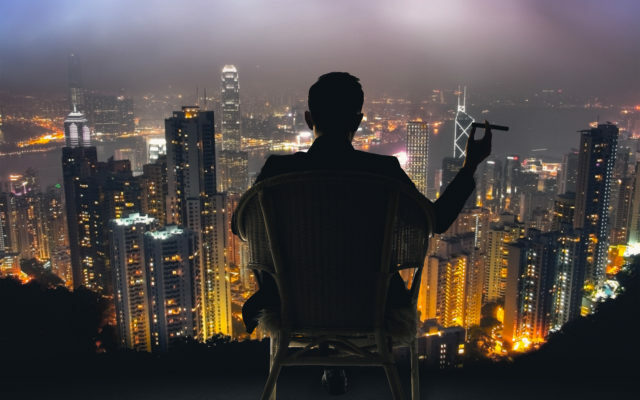 The post Hong Kong Wants STO Investing To Be Reserved for the Super Rich appeared first on Bitcoinist.com.